Running a marathon is one the most challenging things that a human being can do. It takes months of training, the right diet, and extreme discipline to even make it to the race. Then, when you get to the big day, you’re battling against the elements and your own body, it takes every ounce of mental and physical perseverance to make it to the finish line. 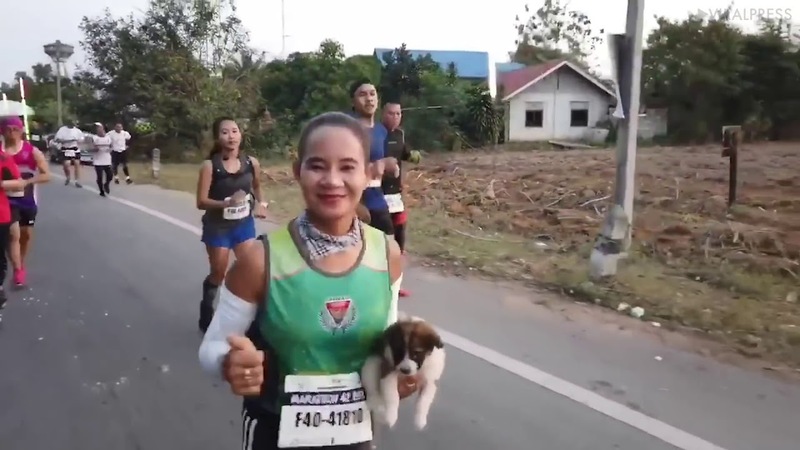 One thing that runners can’t prepare for is finding the cutest abandoned puppy ever on the side of the road during their race, but that’s exactly what happened to a marathon runner in Thailand recently. While many wouldn’t let a stray animal get in the way of their race, Khemjira slowed down to see if she could find its owner. Personally, I don’t see how anyone could run past him – just look how cute he is! 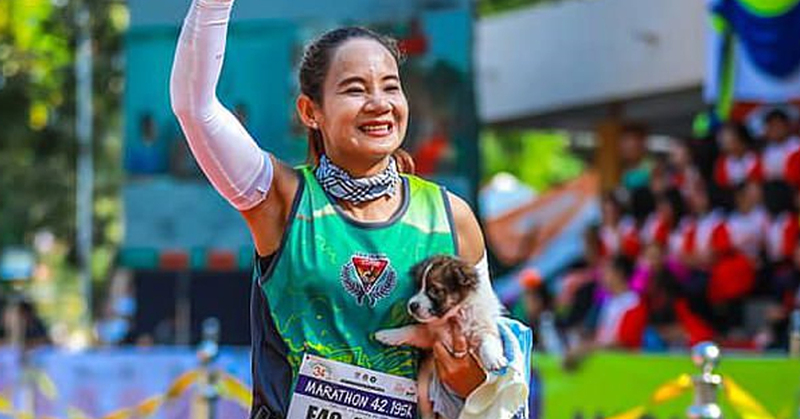 The athlete quickly realized that no one was standing along the side of the road, and that there were no houses close by, so the bangkaew – or Thai wolf dog – must have either been lost or on its own. 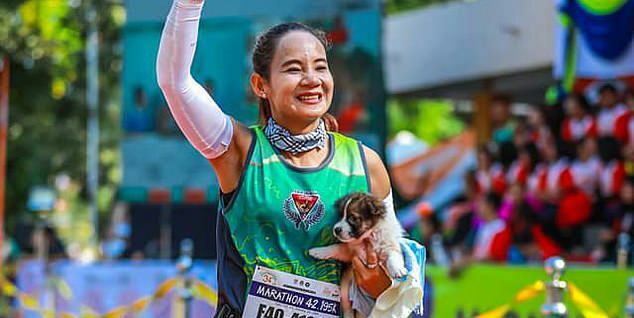 A woman after my own heart, the 43-year-old picked up the small dog and decided to carry it all the way to the finish line – which was a whopping 19 miles away! The shop owner has now adopted the puppy, believed to be just a couple of months old, and named him ‘Chombueng’ after the name of the marathon. God bless Khemjira for doing what she did that day. I’m so glad that she adopted him, too!